“CASI ASTRO connects the dots, and we are here to explore the dynamic of the paths where people come together’’ said Geoffrey Languedoc, the executive Director of the Canadian Astronautics and Space Institute (CASI) at the 16th CASI Astronautics Conference (ASTRO 2012) on April 26th at Fairmont Château Laurier in Quebec City. He’s got a point. The conference, organized by CASI and focused around the theme of "Canadian space priorities going global," brought together several hundred Canadians, Americans, Chinese, Germans, Brits, Japanese and others from industry, academia and government in order to exchange views and talk about the global development of space in what's increasingly becoming a far more collaborative world. During the three day event, many different aspects of space activities related to exploration, international relations, satellite earth observation for sustainable development, defense and security were discussed. The final program is available here, on the CASI website. Canadian Space Agency (CSA) President Steven MacLean, opened the Tuesday morning panel discussion on "Reconciling Domestic Priorities With International Opportunities" by providing an overview on CSA mission priorities which include safety, sovereignty, security for Canada and innovation in the international scale. The CSA president was also keen to mention existing international relationships with Russia, Japan, China, Europe (through the European Space Agency, where Canada is an associate member), and the developing Canadian relationships with emerging countries like Argentina and India. CSA past President "Mac" Evans receiving the John H. Chapman Award from current CSA president Steve MacLean. In the background is a model of the Alouette 1. At the end of the day, Dr. MacLean also helped to present the 2012 John H. Chapman Award of Excellence to William MacDonald ("Mac") Evans, a 34-year veteran of Canada's Federal public service, the key architect of the current Canadian space program and the third President of the CSA (after John Larkin Kerwin and Roland Doré). "It is beyond my expectation to receive this award" stated Mr. Evans, with his typical modesty. 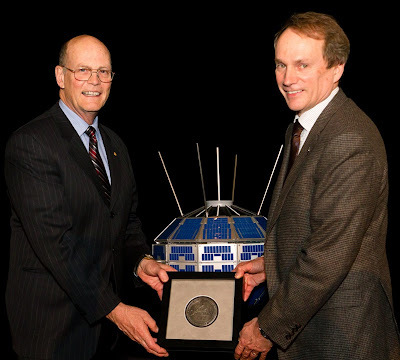 The John H. Chapman Award of Excellence was established in 2000 to celebrate and honor the members of the space community for the advancement of the Canadian space program. John Olson, the National Aeronautics and Space Administration (NASA) Director of Strategic Analysis and Integration for the Human Exploration and Operations (HEO) Mission Directorate, addressed the Tuesday "Future of Space Exploration-Going Global" panel on the commercial side of the space and related it to the history of space programs, the current ISS budget and US space priorities. Following the panel, representatives from the Japanese Aerospace Exploration Agency (JAXA) and ESA gave presentations on their governments' priorities regarding space exploration. 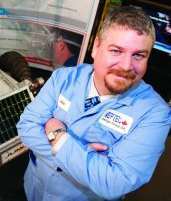 According to Iain Christie, the President of the Neptec Design Group, "Canada should be more aware of space and defense (activities) not because it is something bad, but because there are in fact a lot of opportunities for business in this sector." Mr. Christie, who is also the chair of the ASTRO`12 organizing committee, made those statements as part of the Wednesday morning "Space and Defence: A North American Perspective," panel. Other panelists included Major General Jay G. Santee who's responsibilities include providing policy advice and support to the US Secretary of Defense and Brigadier General Rick Pitre, the Director General of Integrated Force Development for Space (DG IFD) at the Department of National Defence. According to General Pitre, resiliency is needed in space policy documents and space acts over the coming years in order to allow for research opportunities and encourage the Canadian private sector to become engaged, particularity in the area of arctic communications and situational awareness. The 2012 CASI ASTRO INO tour group. ASTRO 2012 also offered many networking opportunities targeted specifically at students including the Wednesday morning "Talent Meets Market Breakfast" (sponsored by ABB Canada and billed as an exclusive event for students who wish to benefit from a meal shared with senior space industry professionals) and a technical tour of the Institut national d’optique de Québec (INO). How the Canadian space industry has changed over the course of ten years, and CASI`s history from the beginning to IAC 2014 in Toronto are the topics being discussed in an upcoming article. Nano-satellites are usually considered to be small, low cost miniaturized satellites between one and ten kg (2.2 and 22 lb) but they're playing an increasingly critical, perhaps even "heavyweight" role in Canadian space activities. 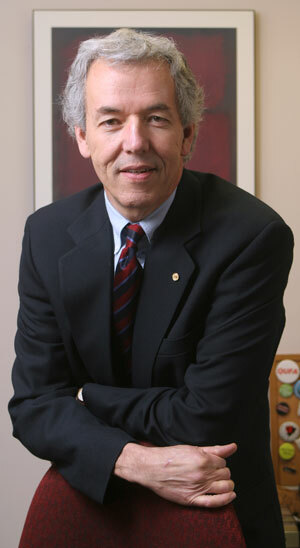 According to Gary Geling, the Director of Science & Technology C4ISR (a term encompassing the four "C's" of command, control, communications and computers plus intelligence, surveillance and reconnaissance) at the Defence Research and Development Canada (DRDC), “Nano-satellite technology has a key role in technology validation to link industry and academia. It is (also) an investment to maximize the benefits towards the national defense." Organizers, speakers and participants of the 2012 NanoSatellite Workshop at Fairmont le Château Frontenac Hotel in Québec City on April 23rd, 2012. 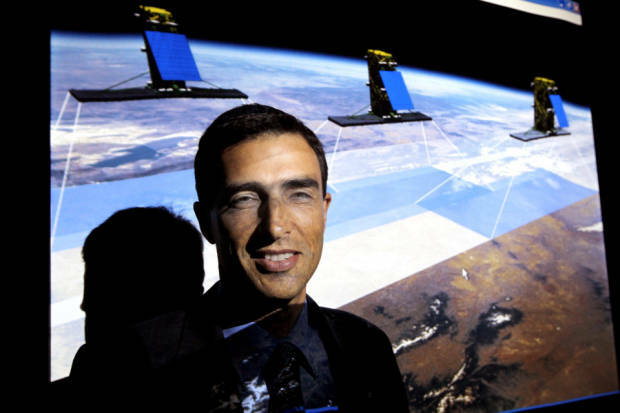 He made those comments last night at the 2012 NanoSatellite Workshop, organized by the Canadian Aeronautics and Space Institute (CASI) as part of the biannual CASI ASTRO conference in Quebec. The workshop highlighted the importance of nano-satellite research from a national, international and industry perspective. Canadian expertise in this area is well known internationally and includes capabilities developed through the various small satellites launched by the University of Toronto Institute of Aerospace Studies (UTIAS) Space Flight Laboratory (SFL) as part of the Canadian Advanced Nanospace eXperiment Program and the work being done by Cambridge based COM DEV International and its subsidiary exactEarth LLP with the commercial use of small satellites to track global shipping. But maintaining that expertise won't be easy and sessions like the nano-satellite workshop are an important first step to help bring together industry and government players to compare notes and exchange information. Dr. David Kendall presenting at the 2012 Nanosatellite Workshop. 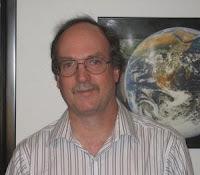 For example, in response to an audience question about the Canadian Space Agency (CSA) budget for nano-satellites, Dr. David Kendall, the Director General of the Space Science and Technology for the Canadian Space Agency (CSA) stated that the CSA is concentrating "on the training aspect right now" because of budgetary restrictions. Dr. Kendall also said the CSA is currently focusing resources on a slightly larger science satellite of around 252kg with greater capabilities. He suggested that industrial and academic partners, developing opportunities and funds from other agencies (like the National Research Council and the Natural Sciences and Engineering Research Council) will help with Canadian technological innovation and jobs creation. Mr. Geling and Dr. Kendall weren't the only experts in attendance at the workshop. Other participants included Dan Showalter, the Director of the David Florida Laboratory (which acts as Canada's primary spacecraft assembly, integration and testing centre), Dr Robert Zee, the Director of the UTIAS-SFL and various representatives from the UK, Germany, Korea, and China interested in Canadian nano-satellite capabilities. Zang Mingzhu providing background on upcoming China's space activities. The nano-satellite workshop was followed by a session on "Women in Space" hosted by Joanna Boshouwers, the Program Director for Richmond based MacDonald Dettwiler (MDA) and a presentation on "China`s Future Space Programs 2011-2015" hosted by Zang Mingzhu, representing the China Academy of Space Technology. The 2012 CASI ASTRO conference continues in Quebec City through Thursday, April 26th. 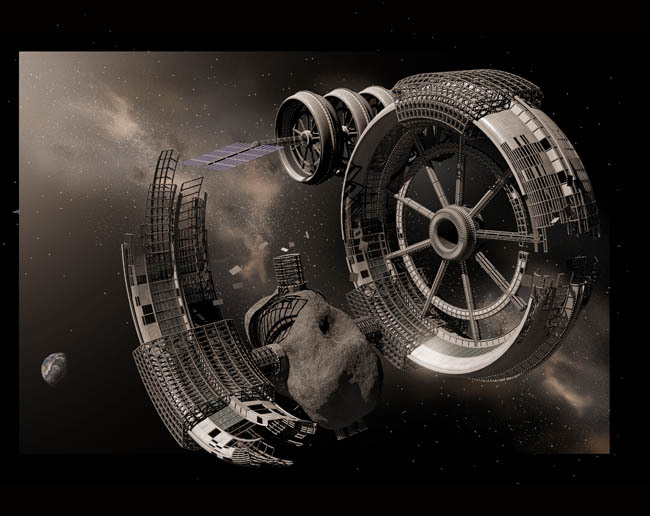 According to the April 19th,2012 Parabolic Arc article "New Study Says Asteroid Retrieval and Mining Feasible With Existing and Near-Term Technologies," the door is now wide open for the use of asteroids and other space resources as raw materials for manufacturing. There is even public interest in starting up a company to take advantage of this research (and several deep pocketed investors looking for the best return on their investments). Take for example, this recent interview with X-Prize Foundation Founder/ Chairman Peter Diamandis. But whatever public announcement ends up being made in Seattle on Tuesday by Diamandis and his associates, which include billionaire space tourist Charles Simonyi, filmmaker James Cameron and Google founder Larry Page, it's worth keeping in mind that this is only the very beginning of our next great space age. Besides, according to author Rick Robinson in his November 10th, 2010 post on the Rocketpunk Manifesto website titled "Searching for McGuffanite" resource extraction is an "economic monoculture" which, like other monocultures, does not support a rich ecosystem. According to Robinson, while mining has often been a perfectly reasonable mechanism to get people to travel to the most "god forsaken places" there will be no rush of small, independent space miners similar to what happened during the California Gold Rush of 1848–55 or the Canadian Klondike Gold Rush of 1896–99. Mining and refining in L-5 Orbit with a solar powered smelter. From the April 21st, 2012 Democratic Underground article "Space Mining Start-up Set for Launch in US." HBC logo. From Canada's First Peoples. Oddly enough, this is pretty much what happened for the Hudson's Bay Company (HBC), the Dutch East Indian Company and quite a few other large, monopolistic firms which ended up making their founders and Directors a great deal of money but never really opened up the territories under their control in any substantive way. In the case of the HBC, North American settlement and the opening up of trade generally coincided with loss of the HBC trading monopoly and was therefore generally discouraged. The final act was in 1870, when the British government abolished the remaining HBC monopoly over trade in various territorial possessions then being incorporated into the new Dominion of Canada. The Dutch East India Company payed an 18% annual dividend to its shareholders for nearly 200 years (which compares well to a modern company like ExxonMobil, which has paid out dividends to shareholders at an average annual rate of only 5.7% over the last 29 years) but was eventually consumed by corruption and formally dissolved in 1800. Its territories, possessions and debt were taken over by the government of the Dutch Batavian Republic, which is today a part of Indonesia. It will be interesting to see how space advocates (especially those who feel that the next great goal of space activities is for colonization) react to the expected Tuesday announcement by Mr. Diamandis, Mr. Simonyi and their colleagues on the specifics of their next space venture. There is, of course, a great deal of money to be made gathering resources from space. But if historical patterns hold true, this is only the first, tentative step in our next great space age. The Canadian Aeronautics and Space Institute (CASI), a nonprofit technical organization for aeronautics, space and remote sensing, is diligently putting the final preparations in place for its 2012 CASI Astronautics (ASTRO '12) conference, scheduled for next week in Quebec City at the Fairmont le Château Frontenac Hotel. The upcoming ASTRO '12 conference is the first CASI event since the International Astronautical Federation (IAF) announcement two weeks ago that CASI would host the 2014 International Astronautical Conference (IAC 2014) and will likely mark the beginning of formal planning for the larger event. IAC 2014 is expected to attract "3500+ Advocates, Scientists, Space Agency Heads & Experts in Toronto for IAC 2014" as outlined in my April 3rd, 2012 post. Of course, the ASTRO '12 speakers and panelists are already a good preliminary step towards the larger event in 2014. They include Dr. Steve MacLean, the president of the Canadian Space Agency (CSA); John Karas, the VP and general manager for human space flight at the Lockheed Martin Space Systems Company; Mike Pley, the CEO of COM DEV International; Iain Christie, the president of Neptec Design Group; Dr. John Olson, the director of the strategic analysis and integration division for the human exploration and operations mission directorate of the National Aeronautics and Space Administration (NASA); Oleg A. Saprykin, the head of manned programs for the Russian Federal Space Agency (Roscosmos); Norimitsu Kamimoru, the director of the Washington DC office of the Japan Aerospace Exploration Agency (JAXA); Dr. Andreas Diekmann, the director of the Washington DC office of the European Space Agency (ESA) and quite a few others. The conference, scheduled for April 24th - 26th, will be preceded by one day Nanosatellite Workshop on April 23rd. Workshop speakers include Prof. Klaus Schilling from Wurzburg University in Germany who will give the keynote presentation on "the UWE Program: Pico-satellites for Education and Research in Networked Space Systems" and Dr. Alfred Ng, from the Canadian Space Agency (CSA) who will provide a wrap-up of recommendations for nano-sat research in Canada. The conference will also include the John H. Chapman Award of Excellence reception and dinner, which will culminate in the presentation of the 2012 John H. Chapman Award for Excellence. Current COM DEV CEO Mike Pley. It's hard to believe that satellite manufacturer COM DEV International inhabits the same universe as the Canadian Space Agency (CSA), which last week announced 23 layoffs as per the April 11th, 2012 Wall Street Journal Marketwatch press release "Unhealthy Choices: Over 1500 Public Service Professionals Receive Notices in Second Wave of Government Cuts". It also seems odd that the company isn't going down the same path as MacDonald Dettwiler (MDA), which announced layoffs and "ongoing restructuring" about the same time as the CSA cutbacks were implemented as outlined in the April 9th, 2012 Canadian Press articles "Canada's federal budget pinch felt even in outer space" and the earlier March 30th, 2012 article "MDA raises concerns about future of RADARSAT Constellation Mission". But Cambridge based COM DEV is special, at least for this fiscal quarter. 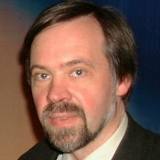 According to the April 13th, 2012 Space News article "COM DEV Foresees ‘Surge’ in Telecom Satellite Orders," a spokesperson for the company said that "while a decrease in the Canadian Space Agency’s budget will not be good news, Com Dev does relatively little business with the Canadian government and will not suffer much." The comment was made during the April 12th, 2012 conference call with investors focused on the company’s performance for the three months ending Jan. 31. According to the article, civil government work represents just 33 percent of the firms total backlog and only a relatively small amount of that is "with the Canadian government." According to the article, COM DEV reported "lower revenue and orders, but higher profit, for the three months ending on Jan. 31 compared with last year and said there are signs the commercial satellite telecommunications market is regaining momentum." Even better was the follow-on April 16th, 2012 Canadian Newswire announcement "COM DEV wins commercial contract" which highlighted a million dollar COM DEV win in "the emerging growth market of high throughput satellites." Ex-COM DEV CEO John Keating. All of which has just got to be good news for CEO Mike Pley, who replaced long-term CEO John Keating in September 2010 (as outlined in the September 1st, 2010 Globe and Mail story "Com Dev replaces CEO") and then almost immediately slashed the company workforce by 5% (as outlined in the September 3rd, 2010 Ottawa Business Journal article "Com Dev slashes jobs as part of plan to return to profitability"). Back in early 2010, ex-CEO Keating was telling anyone who would listen that the commercial side of the COM DEV ledger was sound, but revenue shortfalls were caused by delays in funding the RADARSAT Constellation program and the lack of long-term CSA funding and planning. This was discussed in my June 10th, 2010 post "COMDEV Stock Down: Long Term Space Plan Blamed!" and it's interesting to note that, although Keating was eventually fired for those opinions, his successor has addressed many of them and the company is far stronger for it. MDA, as the prime contractor for the RADARSAT Constellation program, is presently going through many of the same problems that COM DEV addressed in the 2010/11 period. MDA should note these similarities and govern itself accordingly. The global space industry grew substantially faster than the rest of the worldwide economy last year, according to the Space Report 2012: The Authoritative Guide to Global Space Activity, which was released to the news media on April 5th and will be available to the general public starting next week at the 28th National Space Symposium in Colorado Springs. The 2012 Space Report paints an optimistic picture of a high growth industry. According to the publication, "the global space economy grew to $289.77 billion in 2011, reflecting a surprisingly robust single-year expansion of 12.2 percent and five-year growth of 41 percent in a global economy that has been suppressed in many other sectors." These international figures are independently supported through Canadian data presented at the recently completed Canadian Space Commerce Association (CSCA) 2012 National Conference and destined for the annual, end-of-year State of the Canadian Space Sector report. 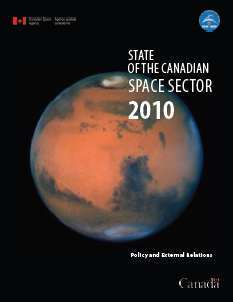 State of the Canadian Space Sector. The total value of the commercial space economy in 2010 is between USD $150- $190 Billion. With commercial revenues of USD $3.3B ($3.4B Canadian) in 2010, Canada occupies 1.7% - 2.2% of the global share. These CSA dollar values would seem to agree well with the figures developed for the 2012 Space Report. The CSA figures for annual growth for the previous five years (38% over the five year period from 2006 - 2010) also agree reasonably well with the values derived for the Space Report. Both reports note the ongoing financial difficulties and stagnant budgets of the US space program and its European Space Agency (ESA) counterpart when compared to China, India and Russia, with their high ambitions, money and evident political will to carry out new missions. But the Space Report also notes that the US space workforce is old (with over 70% of the workforce between 40 and 60 as compared to the overall US workforce where less than 45% is between 40 and 60) and shrinking which might just give Canadians a little pause since the US is our biggest current partner in space. The Space Foundation, which publishes the Space Report, will hold a media briefing on the 2012 Space Report on Wednesday, April 18th at the Space Foundation Media Center in Colorado Springs to discuss its findings. 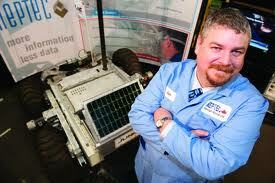 The next State of the Canadian Space Sector report should be completed in December. 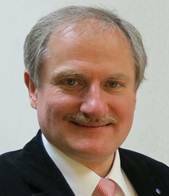 Do Current Laws Support Private Space Activities? According to US based space expert Rand Simberg, the real reason we've remained trapped in low Earth orbit since the 1970's is a series of international treaties defining property ownership of outer space resources, which were designed specifically to make space "of sufficiently low value—either militarily or economically—as to remove the incentives for racing to get there." As described in the April 2nd posting titled "Homesteading the Final Frontier" on the Competitive Enterprise Institute website, Simberg (who is listed as an "adjunct scholar" for the institute) mentions both the Treaty on Principles Governing the Activities of States in the Exploration and Use of Outer Space including the Moon and other Celestial Bodies (also known as the 1967 Outer Space Treaty) and the Agreement Governing the Activities of States on the Moon and Other Celestial Bodies (also known as the 1979 Moon Treaty) as being intentionally structured to make it "difficult to raise funds for extraterrestrial ventures, despite the abundant resources on the Moon and on asteroids, including metals with high value on Earth." First of all, the 1967 Outer Space Treaty needs to be formally re-interpreted as only prohibiting declarations of national sovereignty and not as prohibiting private property in outer space. This is already a reasonable and common (although not universal) interpretation of the treaty as outlined in my February 5th, 2010 post "Feedback on 'The Men Who've Sold the Moon.'" Secondly, a new federal law (instead of an international treaty) needs to be passed to provide national recognition of land and property claims off planet under specified conditions relating to access and utilization. This would allow the land to be used as loan collateral or as an asset to be sold to raise the funds needed for development in much the same way that funds are currently raised for mining exploration. The specifics of the land claims process could even be taken from the existing mining legislation as it covers land claims. Although this new law would explicitly contradict the 1979 Moon Treaty, Simberg reminds us that only thirteen states have ratified it (and not one is a major space-faring power) so it therefore has little relevance to current space activities. This is, of course, not the first time that legislation traditionally associated with the mining industry has been perceived of as being a suitable legal framework for outer space activities. 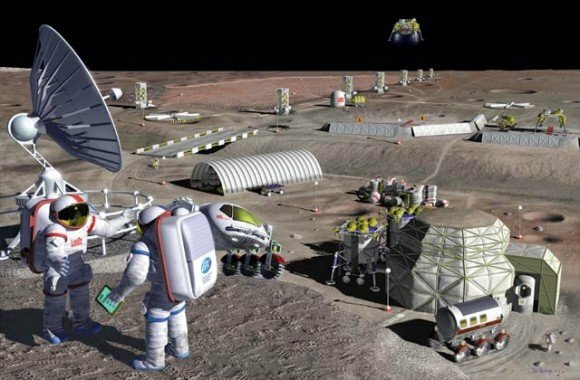 As outlined in my June 20th, 2010 article "Mining as a Model for the Commercial Space Industry," many Canadians have been coming to substantially the same conclusions. But that doesn't mean the sentiment is universal. The April 5th Mail Online article with the inflammatory title of "Billionaires should be allowed to BUY up planets and rip up an out-of-date space treaty, claims expert" states that a move of this type would "would mark a huge change in how mankind sees space and could open up the galaxy to a debacle akin to the Colonial era ‘Scramble for Africa’." Whether or not future Martian history ends up resembling the 1964 historical war film "Zulu" is something that would seem best left until after we've discovered whether or not life exists on the planet. The key here is to remember that a simple change in legislation can make that day come dramatically sooner. 3500+ Advocates, Scientists, Space Agency Heads & Experts in Toronto for IAC 2014. The International Astronautical Federation (IAF) has posted this statement on it's website indicating that Toronto, Ontario will host the 2014 International Astronautical Congress (IAC). According to the IAF statement, the Toronto bid, a proposal from the Canadian Aeronautics and Space Institute (CASI), was up against competing bids from Adelaide, Australia (a proposal from the Commonwealth Scientific and Industrial Research Organization), Istanbul, Turkey (from the Istanbul Technical University) and Jerusalem, Israel (from the Israel Space Agency). However, the April 2nd, 2014 Spaceref.ca article "Toronto to Host International Astronautical Congress in 2014" indicates that the winning bid was originally put together "by the Canadian Space Society (CSS)" who then "collaborated" with CASI in order to "facilitate a successful bid." ...the only global, independent, multidisciplinary and multi-community federation for the space “family”. 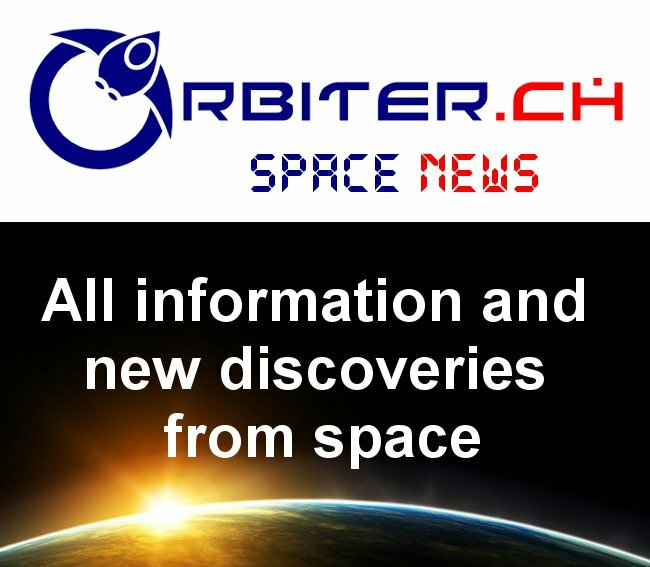 It counts 226 members in 59 countries and forms a network of more than 1000 space experts worldwide active in 27 technical committees which includes a network of students and young professionals with a reach of over 9000 other organizations. Normally held in October, the annual IAC is typically attended by up to 3500 delegates and speakers, including space agency heads and senior managers, academics, researchers, industry and commerce executives, students and young professionals. 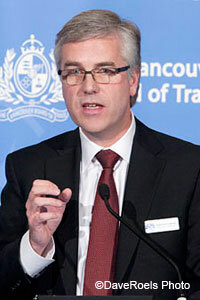 Canada previously hosted the IAC in Montreal in 1991 and Vancouver in 2004. IAC 2012 is being held in Naples, Italy and IAC 2013 is scheduled for Beijing, China. It's the Sunday after the Conservative government brought down the 2012 Federal budget and the reviews on how it will effect the Canadian space systems industry are still mixed. Here's what we know for sure (kinda...). 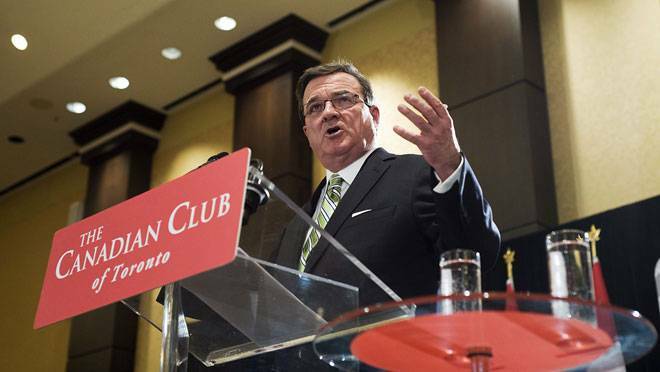 Finance Minister Jim Flaherty at the Canadian Club on March 30th, where he said that the federal budget has "modest" austerity measures compared to Europe and the country is on track to grow as quickly as "emerging economies." As outlined in my December 5th, 2012 post "Canadian Space Rovers on the Chopping Block" the rovers being constructed under contract to the Canadian Space Agency (CSA) by Kanata, Ontario based Neptec Design Group and BC based MacDonald Dettwiler (MDA) are no longer funded. This is either an important capacity building activity being slashed or part of the long-expected winding down of the $110 million CSA portion of the Canadian Economic Action Plan, intended originally to counteract the 2008 worldwide economic crisis but now no longer necessary. As well, the overall CSA budget has been slashed by either 10% or 14% or 16% (depending on the source) which is either a catastrophe for MDA and the RADARSAT Constellation mission or actually represents an increase in RADARSAT funding when added to the naturally decreasing (but totally expected) CSA cash flow requirements in other areas as described in the February 29th, 2012 Spaceref.ca article "Canadian Space Agency Budget Estimates Before Budget Cuts Released." 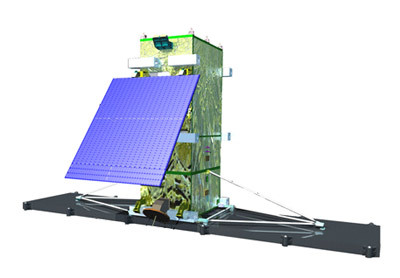 One of the three proposed RADARSAT Constellation satellites. Now with either more, or less Federal funding. Best of all, most of the big issues (as outlined in my February 28th post "Aerospace (and Space) Policy Review Head Announced") are waiting for the formal report from the Federal Review of Aerospace and Space Programs and Policies (or aerospace review), which is expected sometime next December. After that, we're left with more ambiguous perceptions and pronouncements, indicative of political patterns slowly emerging around the budget and the upcoming aerospace review. According to the March 30th, 2012 Canadian Press article "Budget blamed for aerospace layoffs," the prime contractor for the RADARSAT Constellation mission (RCM) said Friday that "it's laying off workers after a preliminary assessment of the federal budget suggests it doesn't include the money needed for the RCM as envisioned." The article quotes BC based MDA (the prime contractor for RCM) said stating that it was “uncertain on the way forward on Phase D of RCM and expects to work with its customer to seek clarification over the coming weeks.”The article also quotes the customer (CSA spokesperson Jean-Pierre Arseneault) as stating that the space agency is still analyzing the federal budget but the RCM mission has not been cancelled. MDA has been no stranger to layoffs lately, with ongoing reductions in its Brampton, Ontario robotics factory due to the winding down of the US space shuttle program and the inability of the MDA on-orbit satellite servicing program (so far, at least) to gain any traction at the Defense Advanced Research Projects Agency (DARPA). According to the March 29th, 2012 Ottawa Business Journal article "2012 BUDGET: Deficit to be eliminated by 2015" the budget "will create long-term savings, shaving more than $1 billion off the deficit in 2012-13 and climbing to $5 billion in 2014-15" which is probably good in the abstract. The article also mentions how the Federal government proposes to make permanent the Canadian Innovation Commercialization Program, a 2010 initiative intended to help small and medium sized businesses sell unique or high-tech products and services to federal departments and agencies. According to the article "the objective is to give these businesses a reference account to scale up their businesses to other clients, particularly foreign governments," which seems particularly useful for space systems firms who sell 50% of their products to foreign firms and governments. Nature, which bills itself as "the international journal of science" has weighed in on the budget with the March 30th, 2012 article "Canadian budget hits basic science," which argues that the "latest budget will slash spending on the environment and push for more collaboration between basic researchers and industry." But the article also quotes James Turk, the executive director of the Canadian Association of University Teachers as stating unequivocally that the budget "is disastrous. 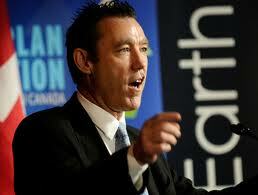 The government has no understanding of how scientific advancement is made (and) no appreciation of blue-sky research." The university community hasn't been the only community with mixed feelings about the budget. According to the March 29th, 2012 Financial Post article "Business greets R&D funding changes with mixed emotions," proposed budget changes to the accessibility and administration of public funding for research and development in the private sector "were met with mixed reactions by the country’s business community." The changes include the exclusion of capital expenditures for re-reimbursement under the program, a reduction of the investment tax credit from 20% to 15% and limiting eligibility of claims related to third-party contracts to 80% of contract payments. The article also states that "the budget outlined an injection of $110-million per year beginning in 2012-13 to the Industrial Research Assistance Program (IRAP)." Other communities are more positive. The March 30th, 2012 Aerospace Industries Association of Canada (AIAC) press release "AIAC reaction to the 2012 federal budget" states that "AIAC and its member companies are pleased with the overall support in yesterday’s federal budget for research and development, as well as those measures that will enhance the competitiveness of small and medium enterprises (SMEs)." However, the AIAC press release also quotes AIAC Chairman David Shellenberg expressing reservations over “the proposed changes to SR&ED," such as the reduction of the SR&ED tax credit rate and the lowering of the eligibility rate for subcontractors "which have the potential to counteract some of the other positive changes the government has proposed in the budget." The press release also indicates AIAC concern "that the announced cuts to the Canadian Space Agency’s budget may impact programs that are critical government priorities" such as the continuing Canadian presence aboard the International Space Station (ISS). As outlined in my March 4th, 2012 post "Canuck ISS Commitment Now Backed with Cash (Sorta)" the Federal government has announced an ongoing Canadian commitment to the ISS through 2020, but has only funded the program until March, 2013. With all those changes and new programs and cutbacks and additions, it will be interesting to see what actually changes as the budget moves forward and independent pundits begin to assess the new lay of the land.